Dr. Patel attended dental school at Temple University and received his Doctorate in 2015. His pursuit of learning did not end there, as he has completed numerous continuing education hours with Spear Education. He also has additional training scheduled with the Kois Center through 2019 and has completed his Invisalign® certification. Dr. Patel knows that, in order to provide his patients with experienced care, he must continually keep himself up-to-date with the newest dental procedures out there. 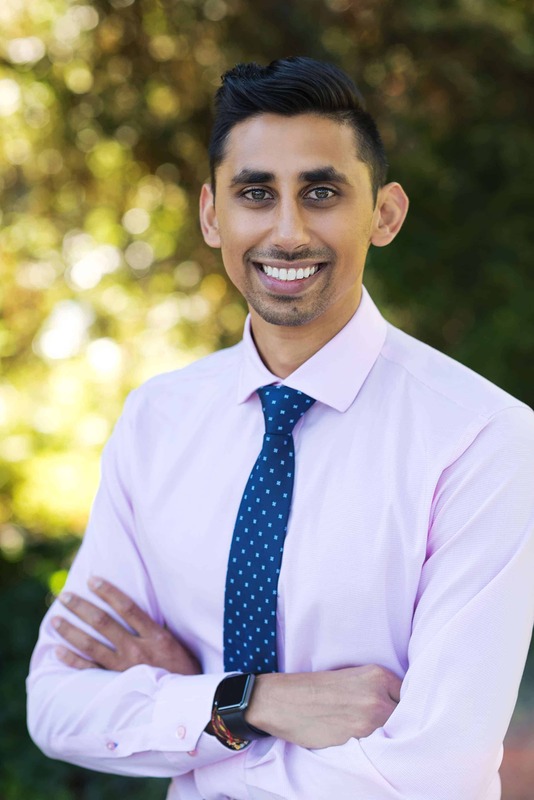 When he’s not at the office, Dr. Patel spends time with his fiancé and makes several trips back to Santa Cruz to enjoy the beach. You might find them watching Chelsea’s soccer team or rooting for the Golden State Warriors. He’s also got a special place in his heart for a good cup of coffee. He cares about those in his community and dedicates time as a volunteer youth leader at the local BAPS temple.